This isn't your father's Amver! What started as a computerized search and rescue system using vacuum tubes and punch cards has evolved into a 21st Century vessel tracking system using new Blade server technology. Amver, a global search and rescue system, was facing obsolescence due to aging technology. Doug Horton, the Amver Team Project Control Specialist at the United States Coast Guard Operations Systems Center summed it up best when he challenged his team. “Team, we can rebuild it. We have the technology. We have the capability to improve the world’s best search and rescue system. Amver will be better then it was before. Better, stronger, faster," he stated. Over the last eighteen months the Amver team replaced aging Hewlett Packard 9000 series equipment with state of the art Blade technology. “With the number of enrolled Amver vessels doubling in the last decade to over 22,000 and a tripling in daily messages sent to Amver at over 10,000 per day, it is imperative to keep this system in line with technological advances and continue to take advantage of the opportunity to improve performance for our customers,” stated Delfina Tomaini the Amver Project Officer. The Amver team worked over 18 months to install new hardware running on a more efficient operating system. A new middleware infrastructure product called the Enterprise Service Bus is now incorporated into the system. This technology, coupled with Extensible Markup Language, makes processing of message traffic and documents faster, requiring less manual involvement for incomplete information. A new spatially infused database processes the calculations necessary to produce more accurate vessel positions providing higher quality surface pictures. What does that mean? 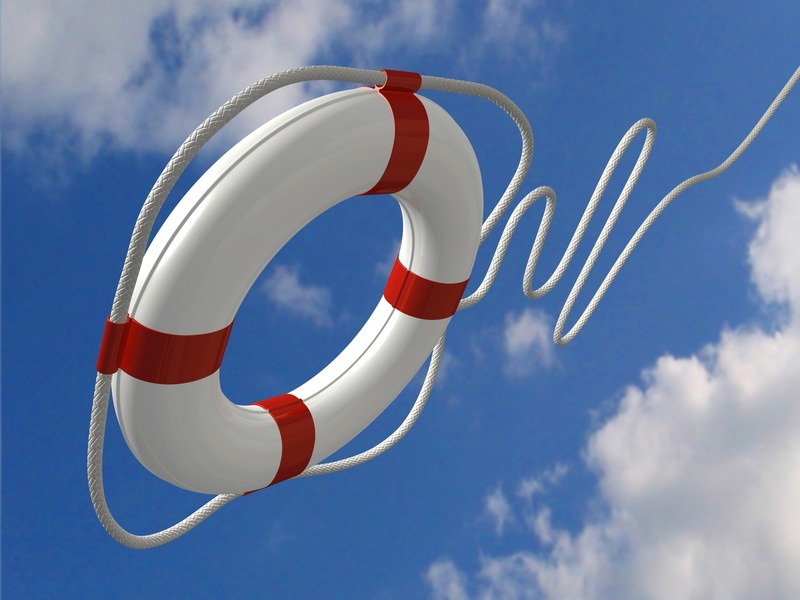 More lives can be saved more quickly. The project also provides a direct link between the Amver surface picture capability and the U.S. Coast Guard Search and Rescue Optimal Planning System, or SAROPS. The team successfully kept the legacy Amver system running while implementing the modernization. During the process Amver averaged 3,700 vessels on plot each day, added over 3,000 ships to the system, produced over 2,100 surface pictures, and saved over 300 lives. Many thanks to the Amver team for a job well done! How many ships enrolled in Amver in the last week? 39, that's how many. 39 more resources to help people in distress like these four guys. It's important and we are thankful you continue to support the system. 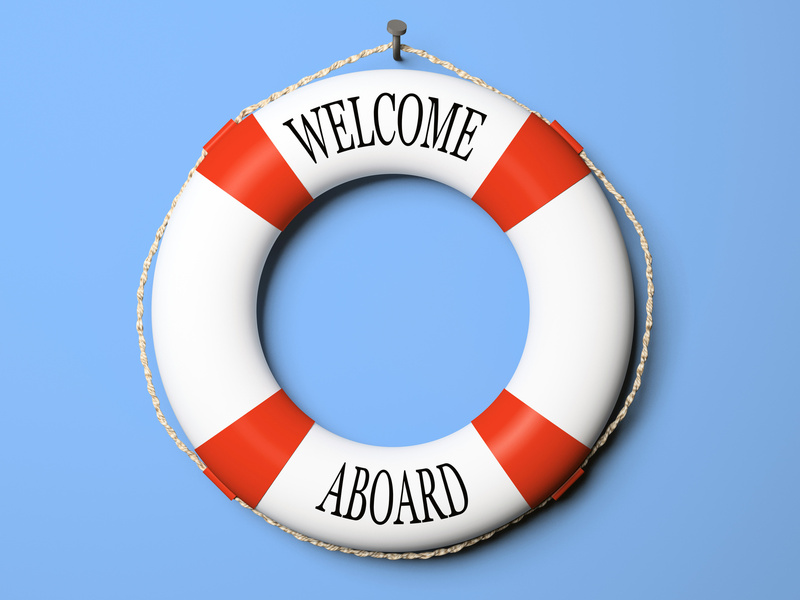 Please help us welcome the latest members of the Amver system. How are we doing? What can we do to make your participation easier? 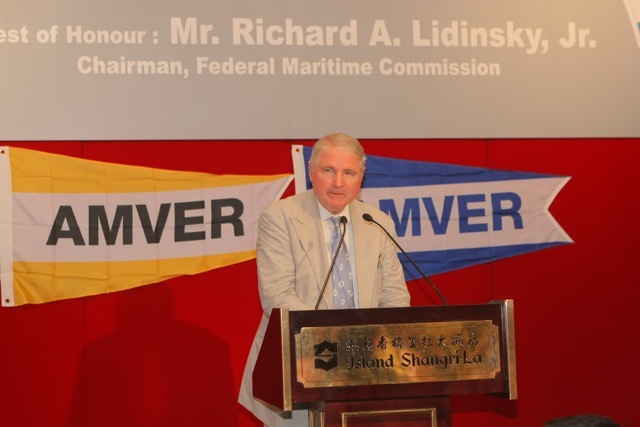 On September 7th, U.S. Federal Maritime Commission Chairman Richard A. Lidinsky, Jr. presented awards to Hong Kong ship owners and ship managers on behalf of the U.S. Coast Guard for their continued participation in Amver. Speaking about his personal connections with Hong Kong – a painting in his office depicting vessels proudly flying American flags in Victoria Harbor and the name of his home city's waterfront area, Canton in Baltimore – Chairman Lidinsky commended award recipients for their important role in fostering foreign trade and thanked them for their cooperation with the U.S. Coast Guard. Hosted by the Hong Kong Ship Owners Association, the event drew over 90 members from Hong Kong's maritime industry. The Amver staff would like to wish all mariners a happy World Maritime Day. 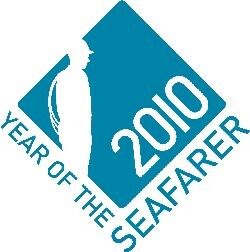 You can read more about World Maritime Day on the IMO website. The steamship La Suisse served as a perfect venue for an Amver awards ceremony honoring 12 Swiss Amver participants on Tuesday September 14, 2010. Hundreds people attended the ceremony and reception aboard the 100 year old steamship as it cruised around Lake Geneva. Mr. Hubert Thyssen, President of the Propeller Club, Port of Geneva coordinated the event. The Port of Dunkerque sponsored the event. Among the highlights of the evening was a presentation of a 25 year crystal globe to the M/V Orange Blossom for 25 years of Amver participation. The Orange Blossom wasn't the only ship earning awards. 36 ships from 12 companies earned Amver participation awards. Thank you Mr. Thyssen and the Port of Dunkerque for your support. Additional photos of the ceremony and reception are available here. If you want to earn awards like these Swiss ships you can enroll and begin reporting to Amver. This has been a busy week at Amver. We just returned from a successful Amver awards ceremony in Switzerland (more on that in the coming days) and we have heard from the family of a recent Amver survivor praising your job saving lives. While we may be the recipient of the accolades, you earn them. Help us welcome the latest member of the Amver team! These vessels have enrolled in the Amver system and demonstrated their dedication to safety at sea. Will you follow their example? The Amver team had the pleasure of working with some folks at ABC News Nightline to help make a short piece on rogue waves. Susan Casey, author of the The Wave, was one expert interviewed for the piece as well as an Amver survivor from a case over five years ago. Are you as excited about the Portfire40! project as we are at Amver? What, you missed that announcement? No worries, you can read about it here. We said we would update you on the project and how to nominate people. There's still time to nominate your favorite maritime group and the best way to do that is with this email address. We hope you'll take the time to recognize excellence in shipping. You certainly don't need Amver to tell you the scourge of piracy around the world. Piracy has grown to proportions not seen in years, leaving governments scrambling to dust off piracy laws and spawning a pirate stock market. But stepping back and looking at piracy a little differently it's easy to see the humor in International Talk Like a Pirate Day. Every year on September 19th people celebrate talking like a buccaneer. How are you celebrating Talk Like a Pirate Day matey? We are so thankful for the support Amver receives from around the world. Despite changes in technology, changes in bridge requirements, and changes in bridge staffing you- the crew and operations personnel- embrace Amver and understand its importance. This global cooperation is unique and is appreciated at all levels of the United States Coast Guard. How serious does the international shipping community take Amver? The 56 vessels enrolled in the last week tell us you take safety very seriously. Thank you, and help us welcome the latest members of our system- no, YOUR system. These ships, and their companies, have set the example. Will you follow their lead and enroll your vessels? Three Americans and one Canadian were rescued by the Amver tanker Alpine Maya on September 6th after their 50 foot sailboat became disabled and was adrift approximately 720 nautical miles north north east of Oahu, Hawaii. The sailboat, the Nomad, was sailing from Hawaii to Los Angeles when they reported to family they lost main engine and auxiliary power. The crew of the Nomad began making emergency notifications. Coast Guard personnel from the Fourteenth District Command Center heard the Nomad's distress call and contacted the M/V Alpine Maya which was 176 miles away from the Nomad's distress position. The Hong Kong flagged tanker immediately diverted to assist and after steaming over 8 hours Captain Mohan Dhinakaran maneuvered his tanker alongside the sailboat to commence rescue operations. The four sailors let Captain Dhinakaran know of their intention to abandon ship and quickly climbed aboard the Alpine Maya. The rescued sailors, in an email to the Amver system, praised the actions of the Alpine Maya. "Without you and your crew we would not be alive today," they wrote. The Alpine Maya is sailing to China where the survivors will be met by U.S. State Department personnel. The Alpine Maya enrolled in the Amver system on July 20, 2010. This case demonstrates how one ship made the difference between life and death for four people. We recently received an email from the Amver participating Greek tanker Cyclades with news they rescued four Filipino sailor in the Sulu Sea on September 3rd. Captain Daglas Panagiotis wrote the officer on watch "... observed a flooded motor boat with four persons..." in distress and calling for assistance. While Captain Panagiotis tried in vain to notify local Coast Guard officials, his crew prepared for rescue operations. Within 10 minutes of locating the four sailors a rescue boat was lowered from the Cyclades and was motoring towards them. 30 minutes after the ordeal began it was over, with four sailors safely aboard the Cyclades. "We offered them food and clothing and let them call their families from the bridge," said Captain Panagiotis. Once the survivors made notification their families were able to send a small boat to the Cyclades and embark the four. The Cyclades enrolled in the Amver system on October 26, 2004 and is managed by the Marmaras Navigation in Piraeus, Greece.
" Come one come all" is our call at Amver. 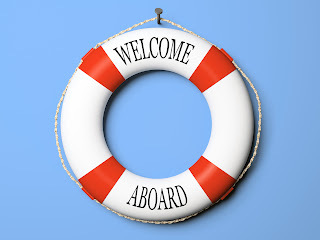 As we prepare for our upcoming travel to various Amver award ceremonies we are pleased to recognize the latest vessels enrolling in the Amver system. Have you joined Amver yet? We hope you will. In the meantime please welcome the following ships. Participation in the Amver system makes a difference and helps save lives. We hope you'll join us! Several recent maritime incidents have underscored why Amver participation is important. Two of the cases occurred in the Arctic. In all the cases, search and rescue personnel would never have known the vessels were there because they were not active in the Amver system. The first case was brought to our attention by our Canadian friend Ken White. Ken emailed about the cruise ship grounding in the Northwest Passage. The second case, courtesy of Tradewinds, was a product tanker that grounded on a sandbar near Nunuvut. While both vessels were enrolled in the Amver system, neither was actively reporting. Would things have been different if they were reporting to Amver or would the case have been managed differently? Probably not. Since these vessels transit the Arctic they are perfect candidates to help others if necessary and therefore are encouraged to actively resume Amver reporting. In an unrelated story Tradewinds reported the Greek ship Goliath Leader rescued 18 sailors from their lifeboat on August 27th. The Goliath Leader rescued the sailors in the South China Sea off the coast of Malaysia. Why is this case significant? Because the Goliath Leader isn't enrolled in the Amver system! We would love for NYK Lines to enroll it and the rest of their fleet. But Amver participation is just half of the picture. Search and rescue personnel need to request Amver data when managing cases in their areas of responsibility. Together, commercial shipping can help assist in search and rescue cases from the Arctic to the Antarctic and all the waters in between. Are willing to help us? The Maritime Executive and Canada.com reported about the recent grounding of the Amver participating cruise ship Clipper Adventurer. According to reports, the Clipper Adventurer was sailing in the Northwest Passage when it struck an uncharted rock near Nunavut on Friday August 27, 2010. The Canadian Icebreaker Amundsen was diverted to ferry the passengers to Kugluktuk. Here is a first hand account by account by a Clipper Adventurer passenger. Search and rescue in the Arctic will continue to be a challenge as the ice melts and tourism increases. We have blogged about Amver and its use as a force multiplier in the Arctic before. As more vessels sail in Arctic waters we hope they consider enrolling in Amver. We also hope search and rescue authorities with responsibility in Arctic waters will request Amver data when managing search and rescue cases. Portfire40! What is it and who's behind it? Recently Amver was approached by Ryan Skinner about an idea similar to Tradewinds Power 100; the most influential and powerful people in shipping. It was the Power 100 that helped spur a new program to recognize people wielding"alternative power" in shipping. Who are these alternative power brokers? You decide. According to Shiptalk, Portfire40 is a list, a dynamic list, of 40 personalities who represent new thought leadership, innovation, personality, or dynamism in the shipping sector. Skinner sums it up like this. "The Portfire 40 is a list of those shipping personalities who haven't inherited a shipping empire but rather carved out a significant change in the industry with passion and pride." Ryan reminds us that the maritime industry is full of people who are more interested in a desire to enrich society. Those folks will likely never appear in the Power 100. Doesn't that sound like something worth supporting? We certainly do! Put on your thinking cap. Start whittling down who you want to nominate as a member of the Portfire40 list. Who else is involved in Portfire 40? Directions on how and where to submit names will be forthcoming. We'll keep you posted. Exhibition season is upon us. Amver will be traveling to Geneva where the Propeller Club port of Geneva will be hosting an evening ceremony. We are also presenting Amver awards at the Seatrade Middle East Maritime exhibition in Dubai on October 26th. Will we see you there? Are you enrolled in Amver and earning awards? You should be. In the meantime help us welcome the latest members of the Amver system. On a side note we hope you are prepared for hurricane season in the Atlantic. Hurricane Earl is affecting the East Coast of the United States. If you are wondering what various USCG port conditions are you can see here.